"On the afternoon of Tuesday, September 25, our engineering team discovered a security issue affecting almost 50 million accounts. We’re taking this incredibly seriously and wanted to let everyone know what’s happened and the immediate action we’ve taken to protect people’s security." "Our investigation is still in its early stages. But it’s clear that attackers exploited a vulnerability in Facebook’s code that impacted 'View As', a feature that lets people see what their own profile looks like to someone else. This allowed them to steal Facebook access tokens which they could then use to take over people’s accounts. Access tokens are the equivalent of digital keys that keep people logged in to Facebook so they don’t need to re-enter their password every time they use the app." Rosen goes on to say that the hack has already been addressed and fixed by resetting tokens belonging to accounts possibly affected by the breach. Rosen also reported the security breach to law enforcement and reset access tokens as a precautionary measure for the accounts they knew were affected. Rosen explained that access tokens "are the equivalent of digital keys that keep people logged in to Facebook so they don’t need to re-enter their password." Facebook says it is still working to determine if "these accounts were misused or any information accessed." 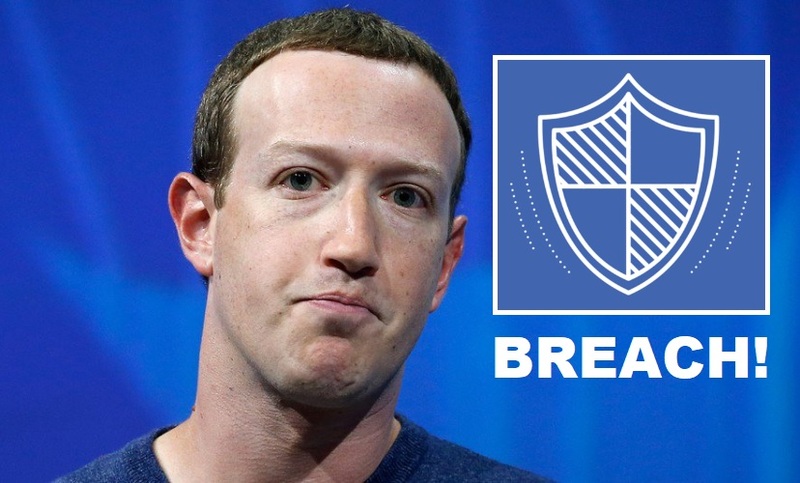 Facebook's CEO Mark Zuckerberg said, "The reality here is we face constant attacks from people who want to take over accounts or steal information…we need to do more to prevent this from happening in the first place. We’re going to keep investing very heavily in security going forward." The social media website has been subject to numerous breaches over recent years and has been questioned by Congress as recently as last year regarding their practice of handling users' personal information. Zuckerberg himself seems to have been targeted by the hackers. One of them accessed the CEO's status page and posted "Let the hacking begin" in 2011. On Friday, a hacker from Taiwan named Chang Chi-yuan announced he was going to cancel his planned live stream this Sunday. Chi-yuan promised to live stream hacking Zuckerberg's account but seems to have backed out as of Friday. Chi-yuan has been working as an independent contractor and alerting Facebook to breaches in its security. The bug he found that would have let him hack the CEO's own profile page was no longer going to be streamed after a Bloomberg report brought too much attention to the live stream. "I am canceling my live feed, I have reported the bug to Facebook, and I will show proof when I get a bounty from Facebook," Chi-yuan told Bloomberg. "There will still be a lot of people questioning my ability even after I find many bugs and earn a copious amount of bounty, and I shouldn’t try to prove myself by toying with Zuck's account." It's too bad, Zuckerberg has been using the platform to push a far-left liberal ideology unchecked for too long, some actual accountability and oversight into what he has been doing might be a good thing. Zuckerberg's Facebook Page has been a target of other hackers and attempts to breach the platform's security are nothing new. One of the reason's the CEO was hacked before was due to reusing another password which is especially dangerous for someone in Zuckerberg's position of power.